Winter outfits brings with it a myriad of challenges. 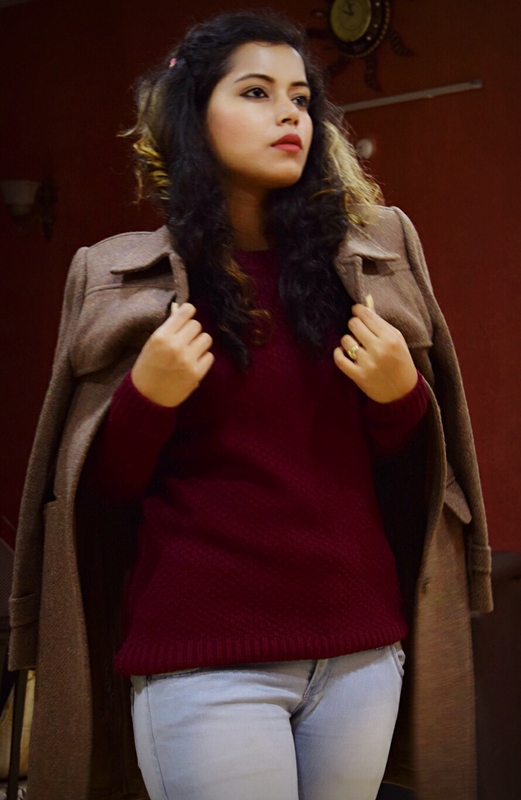 How do you look stylish when you are layered up and completely covered? I’ll attempt to solve your winter outfit problems with suggestions, style and resources to make you look stylishly you! For me a perfect versatil long coat is a layering staple. 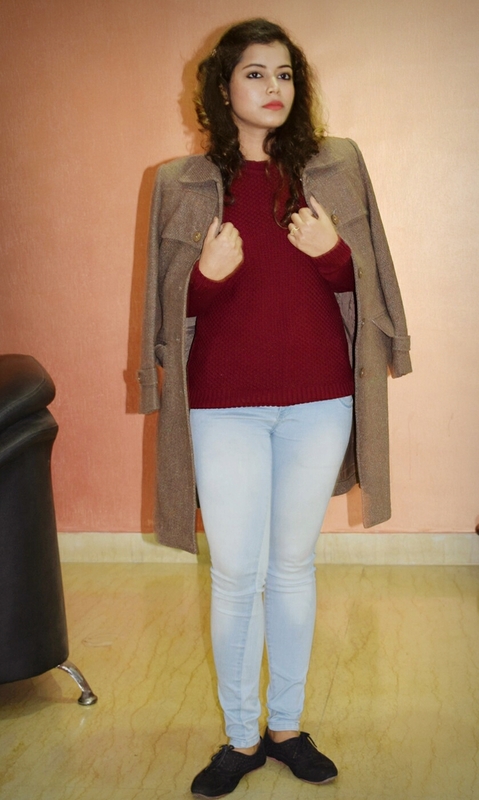 It can paired with so many different pieces, and this one from Vero Moda has that perfect amount of classy, girly and cool vibes on.I paired this coat with a maroon sweatshirt along with denim for an easy layred look that would totally work for the lucknow winters and also it would be easy for you to move during winters due to the warmth that the coat provides.Depending on the colour and brand ,the coats also provide a fashionable sense in you. And you can add a choice of boots or a shoes to give a complete look. Let me know what you think of this look! 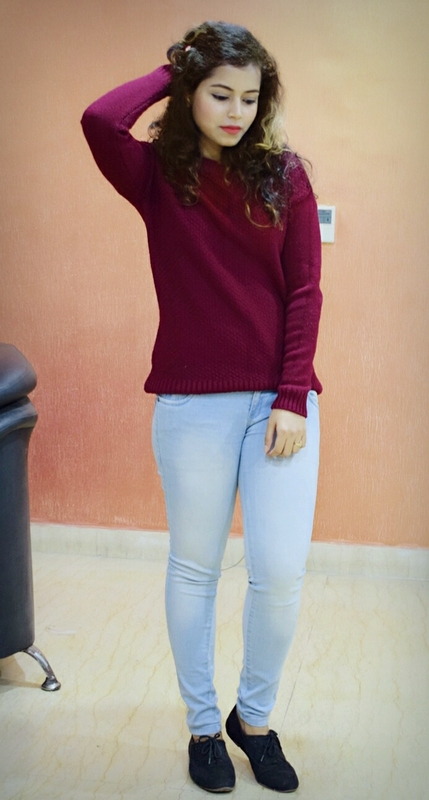 And dont forget to check Vero Moda’s winter collection online and in stores. Previous Previous post: Corporate Anecdotes- A collection of short stories..
Next Next post: 2018 Fashion Trends-And how to wear them. Nice to hear! Good too. 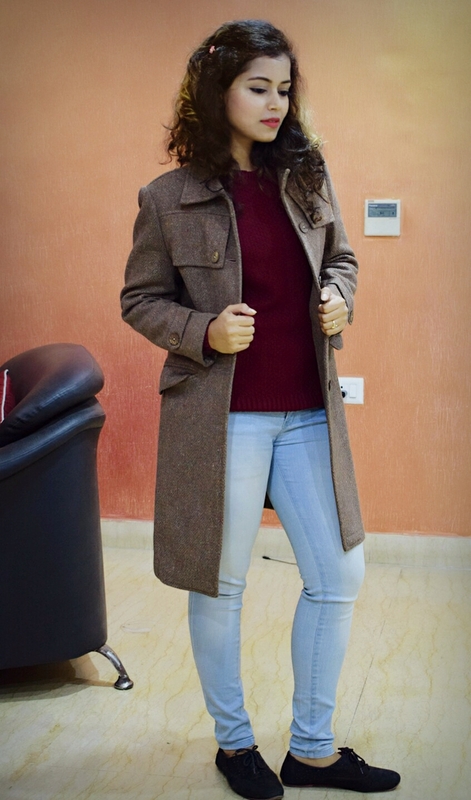 Ur long coat and maroon sweatshirt looks classy and stylish. Lovely tips for the weather. Thank you for visiting and following my blog. Love the long coat! Beautiful outfit and pretty you.